On the eastern half of Omaha Beach the attack of the 16th RCT was planned along the same lines as that of the 116th on the western half. Four companies of some 750 soldiers would hit the beach in 24 landing craft. Their landing zone was the easternmost end of Omaha Beach and the Colleville draw. 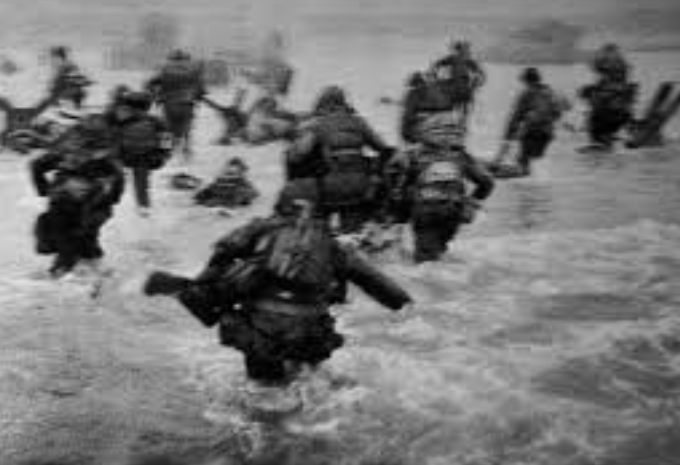 Their task was to push into the through the St. Laurent and Colleville draws and prepare the way for the following waves to exit the beach. Heavy seas caused L Company to land further east than any other unit on D-Day. Many were hit immediately upon exiting their landing craft, the only cover coming from several beach obstacles. The survivors of L Company made it to the shelter of the cliff and were stopped there. In the defilade this afforded, the sections organized and started to move to the right where they could assault the bluff. Misc Rules: A: Sets up first, moves first. 1 Fanatic Leader and units stacked with him.